I had another go at Pad See Ew over the weekend and the result was yummy. 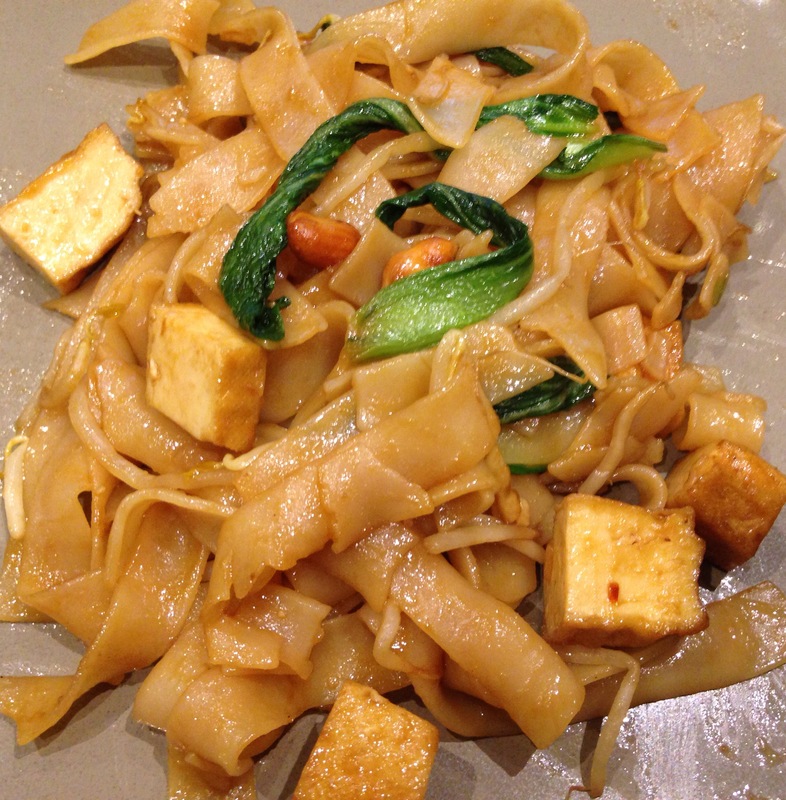 Here’s my delicious recipe for a non-greasy, mostly vegetarian (except for the fish sauce) Pad See Ew for you to try when the Thai craving strikes again…so much healthier than a Thai takeaway. A few Bok Choy leaves/Chinese Broccoli or any other greens. Cook noodles as per packet instructions and set aside. Heat oil in a wok/pan and when hot, fry the garlic and spring onions for a few seconds. Add the tofu, bok choy & bean sprouts and stir fry for another minute or so. If using egg, create a well in the centre of the wok and drop the egg in. Scramble until the egg is almost cooked. Add the stir-fry sauce and stir. Add the cooked noodles and mix well. Continue to add fish sauce, one spoon at a time until it suits your taste. It is easy to get carried away if you love the flavour of fish sauce but try not to empty the whole bottle in to your noodles. Garnish with some toasted peanuts and serve hot with a side of Thai chilli or Sri Racha sauce.